In this article, I try to cover most of what new witches need to know or think about. Once you’ve gotten your spirituality or metaphysical worldview defined, at least for yourself, you know whether or not you’re a witch. Some people are born witches, or it develops through childhood, while others discover they are witches later in life. For religious or other reasons, some witches choose not to practice witchcraft regularly, and that’s okay. Some choose to practice, but stay in the “broom closet”, and that’s okay too. I myself chose not to reveal the full extent and style of my practice until my 40’s. Before I turned 40, I called myself a “spiritual counselor” to most of the world. Only my teachers and people who were very close to me and tolerant knew what I was into. So I don’t judge anyone for how they practice or how they present themselves. My main concern in this is that though we are all free to choose our path, none of us is free from the consequences of our choices. So if you are a witch; someone who has the knowledge, ability, and impulse to manifest their will through the forces of Nature, you may do well to practice, even if the only way you can is in secret. There will come a time when natural talent or impulse will not be enough. You may need skill and experience. Sooner or later, you will encounter someone, perhaps another witch, whose interests conflict with your own. That person may have more unconscious “push” than you, or may be more skilled or have more knowledge and access than you. Awareness and ability don’t always make someone more humane. Sometimes it makes them considerably less humane. Understand that despite the comforting scriptures of most religions, Nature does not operate based on human morality. If the humane or good do nothing, or are ineffective in pressing their will, the inhumane or evil will rule. A child left unattended will be eaten by predators or die of neglect. It doesn’t matter what we intend if our actions do not reflect our intentions. So in light of what’s ahead for you if you decide to embrace being a witch, here’s the question. Are you sure you want this? A functioning witch is not an island whose primary focus is “self improvement”. Nope…I hear those “new age” wheels a’turnin’. No. Just put that idea out of your head. A witch is not a witch to serve only themselves. Period. Wicca is a religion. Its adherents call themselves “witches”, and their religious practices “witchcraft”, but those terms in that context are specific to Wicca. There are also those who began calling themselves witches as a feminist statement. It marks them as a rebel who may or may not be Wiccan or doing any actual witchcraft. For the rest of the known world, a conscious witch means someone who is wielding energy and knowledge to affect their environment including the people around them. Some witches are going to be more or less self serving in that, but even the most selfish and egotistical witch has some sort of understanding that they need a circle, which may or may not include humans. Some very inhumane witches may form a sort of dirty bubble around themselves, full of nothing but sycophants and nasty energy gained through traumatizing others, but they have one. If you’re on the witchy downlow, you may not be able to serve the community with your witchcraft explicitly, but you should be using your witchcraft to better yourself in order to be more useful, and when possible, bettering the situation of the living beings around you. There are many ways to do this, from tending to and healing local animals, to making your corporation more productive by casting protection from sickness and poverty over your laborers. There is an old Congo saying, “None of us birthed ourselves, and none of us will bury ourselves.” Just as if you had a lot of money, you should give something back to those who sustain you, it’s the same with spirituality. It’s a flow and an exchange. Your spiritual or metaphysical fitness is as important as your physical fitness. In fact, as a witch, you understand that it is all integrated. I don’t mean that you must be athletic. You do however need to be whole or as whole as possible. As a witch, your goal in this is to function as well as you reasonably can, using a balance of all of your natural blessings. To do this, you must be living in awareness, which includes living in gratitude. One way that those of us in ATR (African Traditional Religions) or ADSP (African Diaspora Spiritual Practices) maintain our awareness, gratitude, and spiritual/metaphysical fitness is through daily observances. You may read about this in detail at How To Do Daily Observances. 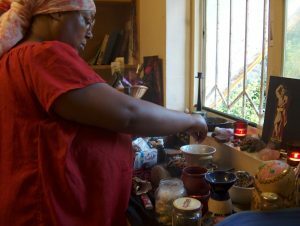 This article is mainly for the independent Orisha adherent, so it should not be difficult to craft a daily ritual around your pantheon and time constraints. I would advise that you make your daily ritual neither too complex nor too simple. You want to be sure that you don’t make it so cumbersome that you’d tend to put it off or forget, but not so simple that you don’t have that moment of appreciation for your deities. It should be something that can be a normal part of your life. I like to do mine just before exercising, which I am told is common for many children of Oya. Daily observance is extremely important for witches. I can’t stress that enough. There needs to be some time every day that you consciously reserve for your Source. It’s like recharging your batteries, only in time your capacity increases. As I said, there will come a time when you will need that energy at hand. It’s something like practicing forms in martial arts. In fact, being very real, witchcraft is a martial art. Unlike normal religious observance, which leaves things in the hands of the deities in a general way, witchcraft is an efficient means of changing things and solving problems when physical force and social status don’t do the job. What distinguishes you from a normal adherent of a religion or worldview, is that you are efficient on purpose. If you were marked since childhood, you are used to regular visitors and visions. If you are new to awareness, the appearance of non solid be-ings may be a bit shocking or frightening at first. If it is disturbing across the board, then as much as this goes against the trends, I must advise you to rethink embracing witchcraft. It is a normal part of life for the vast majority of us. Some of us even have somewhat explanatory health “problems” to go with it. You kind of know the difference between hypersensitivity to the paranormal and mental illness by your ability to control exposure and recovery through your Gatekeeper. If calling your Gatekeeper doesn’t help, then there is either a growth reason or a health reason. That said, again being very real, many if not most of us are mentally ill in some way technically, because most humans are mentally ill technically. The world is not an ideal utopia. Witches often have a harder path than normal. We all take scars from the simple fact of being witches or inclined to such. 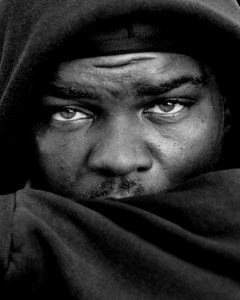 Nobody gets through this life without taking a few hits, and as much as we wish it were otherwise, we will have issues. There are also many costs and trade-offs. Aside of the usual hits like rejection and having to live in a world that is usually hostile to what you are, some traumas are a direct result of sensitivity and awareness. Once you reach certain levels of awareness, there is no going back. At these points, you may have more to hide than you started with. I experienced this myself when I was ready for and then given the real answer as to how people worshiping a supposedly loving god, could abuse their children… I’ve also gotten some rather shocking answers to questions I’ve asked Eshu that I had no idea I was ready for, but he thought I was ready, so I got them and regretted them until they were integrated. Some things are difficult to process. There are many things that you will learn, but some knowledge will not make you happier. You will be glad to have the knowledge and suffer less when you put it into practice (though more if you attempt to share it with those who aren’t ready), but the knowledge itself may blow your mind. You will learn just how good and just how bad people can be, and it might mess you up a little. You may learn how some things really work, and have that feeling like watching sausage being made from the pig to the pan for a few months. The burden of knowledge may give you certain health issues, and definitely a bit of social anxiety…but if you are built for it, the suffering is worth it because you’d suffer more if you weren’t walking this path. If you are not built for it, then you should fall back to being a religious adherent. There is no shame in doing that. Many people stop doing witchcraft because they’re not feeling it, while others stop because “weird things started happening” and it became unmanageable for them. For some, a phase of witchcraft is a healthy part of their spiritual journey, but something they need to give up in order to embrace their true path, which may be to specialize as a healer, messenger, or traveler. Onto physical health, this is of great importance as well. We don’t body shame, but whatever your physical shape or ability, it is important that you show gratitude for your body. Keep it clean, eat as well as you can, get enough exercise, and don’t neglect yourself. Do fun things with your body, and even indulge some vices in moderation. Everything you do to better your physical life and health glorifies your Ancestors, not to mention various deities of beauty, and protective warriors. Part of managing your physical fitness is keeping your home clean and maintaining your environment. If you have a dirt floor, pat down the dirt. No money for cleaning supplies? Get some rosemary or other cleansing plants growing wild around you, and steep them in boiling water. Vinegar works well too, as well as lemon juice, salt, or baking soda (sodium bicarbonate). You don’t need to be fancy or obsessive, just effective. Keeping a clean home helps to reduce the burden on your immune system, which will be really important to you when you’re older, or if you are young but already at the point that you have had to do serious spiritual warfare. For some reason, one of the things more inhumane energies attack the hardest is the immune system. It is very rare that I’ve seen a practicing witch die of an attack through accidents or sudden organ failure, but I’ve seen many die or come close from immune disorders and infections. So it’s also a good idea to train your body to handle hostile microbes, and gather friendly microbes by spending time outside in Nature. Get your bare hands and feet into some dirt. One of the reasons immunity attacks are so dependably fatal or debilitating for witches is that it’s basically the path of least resistance. Microbes are everywhere, and there’s no real escape from them, so most curses are basically an official removal of protection, a wedge to penetrate a protection, or manipulation of a situation to make someone more vulnerable. So when I’m saying maintain your physical body, I’m not thinking join a gym. I’m starting with clean your home and grow some herbs, eat real food, and go for walks or dance with the headphones on. Being at peace with yourself and maintaining your immune system (and combat ability if your head Orisha or deity is the warrior type) is important. A slim waistline or big muscles are not so important unless your profession or glamour demands it. Later, as your awareness increases, you will realize how wonderfully friendly microorganisms and a balanced presence of the not so friendly ones, affect your psychology. The outdoors is good for you in many ways, and a necessity for witches. To varying degrees, depending on the person’s talents and interests, witchcraft is partly an academic pursuit. You will need to be ready to invest a lot into increasing your knowledge of Nature in both conventional and spiritual terms. So that you don’t waste a lot of money, here are some tips on vetting books or other learning materials for their soundness. It is based on practice, and not over-focused on visualization. Spells come at least with guidelines for proper offerings to any deities or archetypes called upon or suggested in the workings. Sometimes though, this is implied. A good example of works written with the assumption of offerings would be Papa Jim’s pamphlets because it is assumed that anyone using them would be a practitioner of an African or diaspora system already. It is not pushing any particular religious, political, or social agenda (such as either overly biased chauvinism or feminism) that lies about Nature to the point of neutralizing effectiveness or calling forth unintended or shady results. It is balanced and truthful about the possibilities of the workings and ingredients (such as things that may be used both to bless or to curse, depending on how they are used). It is respectful of the cultures and people who are the sources of the information in it. It should have a bibliography and/or references, or it should be clear that the knowledge was acquired through oral transmission, walking the path, from teachers, or divine revelation. There should also be references and credit given to sources of information specific to the cultures in the book. For instance, if it contains mention of a practice from the Yanomamo people, it should refer to an academic source or actual Yanomamo person. A book is probably good or at least not harmful if the author can show that they didn’t just pull everything out of their assumptions, and encourages further study instead of unquestioning belief. If it is a regurgitation of previously published knowledge, it has something new to say about it. You don’t need to be a millionaire or owner of a witchcraft store to use the spells/workings. If it contains hard to find ingredients, they provide a list of suppliers. The title indicates the flavor or style of witchcraft within the book. An overly generalized title usually means that there isn’t much actual useful knowledge in there. It has a title like Big Book of Witchcraft. That’s like saying Big Book of Medicine, or Big Book of Mechanics. It should at least be something like Big Book of Love Spells. That’s at least going to be a sampler of spells of a specific type. It does not address warfare or aggressive magic. The roots of witchcraft are in fighting against oppression or at least against the odds. If there is no fight in it, then it’s a book of mental masturbation for the sheltered, not witchcraft. There is no mention of offerings to deities or reciprocation with forces of Nature or archetypes. Atheists and agnostics can be witches, but they understand the principles of energy and reciprocation. So “modern” is no excuse for leading people into what could be an immune system deathtrap. There are no references. Witchcraft is not new. There is very little being done that has not been done before, save witchcraft that has to do with newer technology. Even that has basis in the legends of deities such as Ogun, the Yoruba deity of Earth, solid matter, industry, metal, evolution, and technology. Everybody’s information came from somewhere, even if it was a meditation session with the Ancestors. There are crucial things missing. I don’t want to be overly dramatic, but I have seen too many books supposedly about west African and diaspora witchcraft that say nothing about kola nuts or even the more recently popular gunpowder tea. Many cultures have been picked over by many authors with no connection to the people their information supposedly came from. Though some degree of cultural appropriation or borrowing is normal or even beneficial, you know you’re looking at the bad kind when the writer is too far away from their culture to possibly get their witchcraft, and just adopting something because it seems cool and exotic. The majority of the recipes and workings are overly simple, don’t require any interaction with deities or forces of Nature, but DO require crazy ingredients. This happens a lot. Some hard to find, rare, or expensive ingredients may be necessary for precision in some cases, but if almost every working or recipe is out of the range or reach of a person with a normal income and access even in the west, then it is useless. If you can’t use it, why buy the book? You will have to invest in supplies. If your path is that of a professional witch, this is not so difficult because your clients are covering the costs. If you are serving friends and family, especially if you’re in the closet though, it can be difficult. You will have to learn to be creative in acquisition and storage. Our luck is that most of the things you need to at least get started doing witchcraft, you can find foraging outside, growing in your garden, at your grocery, or maybe with the addition of a spice shop or “ethnic” store. Foraging is an important activity for witches. Most places have everything you’d need for the basics, growing outside. On many websites and in books, we writers post recipes based on what we have available locally, and what we can access through shopping, but these are just guidelines. Study your local plants and what they do medicinally or chemically. Whatever you can forage or find around, make those the priority ingredients in your work. It seriously increases the energy. As much as you can do by hand, do by hand. Don’t be obsessive about this though, unless it is crucial to your specific path. Trade has been a part of human existence as long as foraging. There is a lot to be said for cooperation, barter, and contributing to the healthy flow of currency. Anywhere there are significant numbers of Latinx people, there is probably a botanica. Look for a good one that is well supplied and has a good energy. Avoid anyplace where everything is boxed and bottled. There should at least be some bags of herbs around. In the good ones, if you don’t see what you need on the shelves, you can ask at the counter. They may have things in storage or be able to order what you need. I believe in supporting botanicas, not just because it is convenient, but because many are directly or indirectly supporting efforts to preserve the rainforest and medicinal plants that grow in them. It’s a way of “voting with your feet” to buy and use products that lead to the preservation of the environment. I’ve already gone into why someone might choose to stay in the “broom closet”, and that this is a legitimate choice. Even if you are out though, you may want to be careful. Because even though you may have a very strong will, you are not the only person with a will, you want to be careful about attracting too much ill will. Many people do not like witches, and some actively attempt to combat or thwart our efforts. In your own coven or ile, you may have people who disapprove of what you are doing or working on at the moment. One of the most important things you will learn as a witch is to keep your mouth shut. Not everybody needs to know that you are a witch, and not everyone who knows you are a witch needs to know the specifics of your workings. Some may attack or thwart you out of fear, and some out of jealousy, and some because of other personal interests. Like clergy, you are to keep the confidences of your clients and other people you serve. It goes a little farther than clergy though, because even telling some people ABOUT what you are doing, may cause a bad reaction that could ruin the work. Be careful who you share things with, even your blessings. Some people may hear your good news and give you the evil eye or envious energy in return. If your family is Christian or Muslim, or you live in an area with them and they know or suspect that you are a witch, they may even pray against you. You know that this is happening when you feel stifled or bound up for no good reason. You lapse in your observances, form an unexplained aversion to divination, and start to feel a bit cut off even though nothing external is out of the ordinary. Because they’re not giving the offerings that you hopefully do, they’re unable to really affect much of your environment, but with their little human energy, they can mess with your motivation to reciprocate. If this is happening, force yourself to do your daily observances, with extra offerings to your Gatekeeper on their auspicious day of the week. No matter how you are feeling, do something. There can be a dilemma if loved ones or family are the ones attacking you while telling themselves they’re trying to save you, so give this matter to your Gatekeeper. Then it’s out of your hands. Let the Gatekeeper decide what is a just reward for their attacks. If this is not enough because the people attacking you are very spiritually strong and have a big circle to draw energy from, you may have to be a bit more aggressive. I can’t publish anything about this to the masses, but if you need help, contact me. Meanwhile, make yourself some Angel oil. In fact, anyone with monotheistic or overly moralistic relatives or neighbors who have ever crossed the line to violence in the name of “God” should make this and wear it daily. This is going to ruffle some feathers, admitting that the monotheists and trinity-ists do have some power, and that unaware witches and others may be vulnerable to it. I don’t understand why anyone would think that monotheists would somehow be an exception to the rule of all living beings and matter, but I suppose it comes from the darker edges of western culture; some people’s desire to believe that man can somehow be more powerful than Nature. Still, it is something that both witches and escapees from monotheistic cults should deal with honestly if they hope to defend themselves. Denial is a poor substitute for control of the situation. There are reasons aside of lack of offerings or reciprocation that their power is real but limited in crucial ways. I go into them in detail in the Angel oil article. It’s couched in that recipe because making an article specifically about that is bringing information too explicitly for many to handle. Better that it be something one has to be conscious of a problem to get that particular solution. This is an example of using discretion. The knowledge is hard to bear. In some places, witches are still hunted and killed. There are also countries where whatever they define as witchcraft is illegal. Authorities or people of status may arbitrarily decide what is and what isn’t based on what they feel is beneficial or harmful. Some just use witch hunting as a way to get rid of or neutralize the power or influence of people they don’t like. So be careful, and if you get into trouble, understand that you are not alone. Ideally though, you want to avoid getting into trouble in the first place. Witchcraft isn’t about the show. It’s about the work. The usual question is where to begin. My answer is: cleansing and protection. Most of your work as a witch will likely involve this. You will be purging places and people of inappropriate/unwanted energies, and then protecting them to prevent or discourage “pollution” or aggression. Different cultures have different customs. I encourage you to learn as much as you can about your ancestral practices, as well as local specifics. 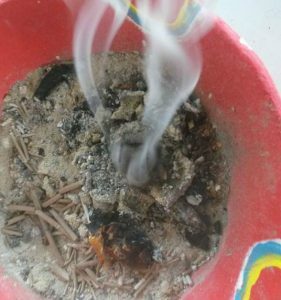 Because I am an African, Native American, and Anglo-germanic woman living in Israel, I had to learn both my own peoples’ ways as well as local customs of cleansing and protection. So there’s some alum in my mix for home cleansing incense. Even operating from within the closet, you can cleanse your home and perhaps your workplace with incense, floor wash, or a modified baby wipes mix. You can make a paperweight protection talisman. You can make little protection charm bags and place them in hidden areas. Because the cross is one of the symbols of Eshu and many other Gatekeepers, you can easily disguise them as Christian items without drawing negative attention from most Christians. In upcoming articles, I will post specific workings to get you started. I hope this article has helped you to understand what it is to be a witch, and how to get things moving with minimal dangers and headaches. Feel free to ask questions and discuss more in the comments here or in the forums. advice, advice for new witches, advice for young witches, beginner witchcraft, being a good witch, being a witch, daily observance, dangers, difference between wicca and witchcraft, effective witchcraft, evil eye, getting started in witchcraft, health concerns, hostile family, how to be a witch, ill will, mental health, practicing witchcraft, protection, spiritual health, training, warnings, what is a witch, what it is to be a witch, what you need to know about being a witch, witchcraft for beginners. Bookmark. Hello Victoria 🙂 If your family simply doesn’t believe, or if they are hostile to witchcraft, then you may want to hold onto that secret until you are no longer living with them. It is not always safe to come out of the closet with people who may not understand, while they have power to damage you. I understand this is difficult, but many witches have been put in serious danger by coming out too soon. Remember, you don’t need to be fancy to be effective. Take this time to learn about Nature and also to study human nature. You have your whole life to be a witch. There is no hurry to be *known* as a witch. Can this really help me.? My ancestor was a queen a long long time ago. I wound love to lean magic. I always thought I was different from other kids. This is why I love Narnia… it combines both (even though the witch in it is evil… she isn’t the only evil one) But she is also not the only one using magic or potions. Please help me and undo my confusion. Being a witch is not a good idea if you are looking for acceptance. You may want to consider staying in the broom closet except with very trusted friends and people who come to you for your help. Even with them, unless you know for sure they wouldn’t use it against you, be careful. You will receive some negativity from both sides, but there are many people in your situation, so there is community too. Find a group of Christian witches. Life is a bit easier when you have folks around who have been where you have yet to go.